The City of Perth provides a number of parking concessions for people with accessibility requirements within the City. These include concessional parking rates to Disability Parking Permit holders when parking off-street within a CPP car park and parking on-street (kerbside). These concessions are applicable only to hourly rates and do not apply to block (12 hour etc) rates, discounted fees or event parking. Concessions are valid within the boundaries of the City of Perth only. The City of Perth recognises international and interstate Disability Parking Permits. These are valid for a period of 3 months after the permit holder arrives in Western Australia after which a new Disability Parking Permit needs to be obtained from National Disabilities Services (NDS). To be eligible for any concession, the permit holder must be in the vehicle, either as the driver or as a passenger. For accessible parking outside the City of Perth please obtain the conditions applicable to the Local Council. When a Disability Parking Permit holder is parking in an unstaffed car park operated with ticket machines, they must purchase a ticket or pay at the meter for a minimum of 1 hour. When a ticket is provided this must be displayed on the dashboard with their valid Disability Parking Permit. The parking time will remain valid for a further 2 hours after the expiry time. When a Disbaility parking Permit holder is parked in a staffed car park where there is an entry boom gate, they must pay for a minimum of 1 hour and can then park for up to an additional 2 hours for free. The driver will need to redeem the applicable concession by visiting the Customer Service Office prior to exiting the car park. The Customer Service Officer will need to sight the original Disability Parking Permit and will also collect any monies owing. When a Disability Parking Permit holder is parked in a non-staffed car park where there is an entry boom gate, they must pay for a minimum of 1 hour and can then park for up to an additioanl 2 hours for free. The Disability Parking Permit holder should pay the full fee and obtain a receipt, then post or email their receipt and a legible copy of their permit to City of Perth parking for a refund. Permit holders do not need to redeem their concessions individually; they may retain their receipts and send several at once. Option 1: Select the 1 HOUR FREE button, collect your ticket and display on the front dash of your vehicle. The ticket will remain valid for an additional 2 hours after the expiry time on the ticket. This option will allow up to 3 hours of parking. Please ensure you also display a valid Disability Parking Permit in conjunction with your parking ticket to be eligible for concession. 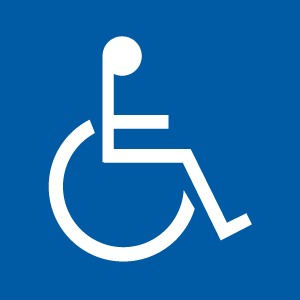 Disability Parking Permit holders who do not require a wheelchair or walking frame can park in any non-reserved bay within a car park and remain eligible for concession, thus leaving the extra-wide bays for over-size vehicles or customers requiring extra clearance around their vehicle. The City of Perth provides parking concession on-street (Kerbside) for people with accessibility requirements who hold a valid Disability Parking Permit. Kerbside parking bays are on-street parking bays controlled by green permissive parking signs e.g. 1/4 P, 1P, 2P. A vehicle displaying a valid Disability Parking Permit in a time restriced parking bay may park for: i. If the time limit indicated on the parking sign is under 30 mintues - for 30 minutes; ii. If the time limit indicated on the parking sign is between 30 and 60 minutes - for 2 hours; iii. If the time limit indicated on the parking sign is over 60 minutes - for twice the period indicated on the sign. Once this time expires the vehicle must vacate the parking bay and may not return to the same section of road within 1 hour. A vehicle displaying a valid Disability Parking Permit in a time restricted parking bay where a fee is payable, must pay the minimum applicable fee and if required, fees for additional parking time. After the purchased time expires, the vehicle may remain parked for the same period again but once this second period expires the vehicle must vacate the parking bay and may not return to the same section of road within 1 hour. Parking in a time restricted accessible bay is limited to the period stated on the sign. Fees apply. Please note: Concessions do not apply to restricted parking areas such as Clearways, Loading Zones, Bus Zones, Taxi Zones. Failure to avoid these restricted parking areas may result in a parking infringement being issued. While City of Perth Parking makes every effort to provide accessible parking, it is not possible to meet every circumstance. CPP places a high degree of importance on ensuring the parking experience is a positive one for all customers so our customer service staff are always available on 1300 889 613 to discuss unique circumstances and work towards a solution acceptable for all.